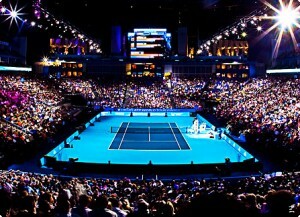 BNP Paribas Open Tennis Tournament held annually at Indian Wells. 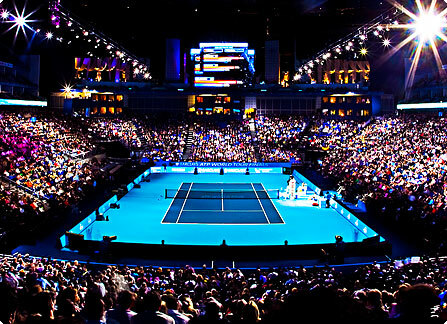 The BNP Paribas Open, a Masters Series 1000 Tournament held annually, has a rich and storied history. Staged at the Indian Wells Tennis Gardens, the setting is lushly picturesque with its 12 courts bathed in the warm California sun. The tournament’s roots go back to 1976 with its name changing as often as its sponsors. 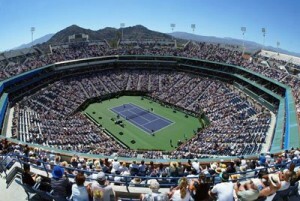 The popular tennis event, however, had its beginning at its current Indian Wells locale in 1987. Boris Becker won the inaugural men’s tournament at Indian Wells defeating Stefan Edberg in the final 6-4, 6-4, 7-5. 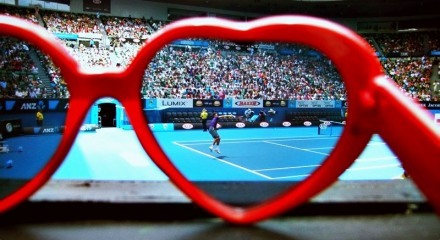 Since that time this premiere tennis tournament has attracted the top players from the men’s and women’s field. Following upon the heels of the Australian Open, the one-two punch of Indian Wells and Miami, closes the early American hardcourt season, pressing the players toward the upcoming clay season. To date, only three players in the tournament’s history have won the event more than twice–Americans Jimmy Connors, pre-Indian Wells, and Michael Chang who won the event in 1992 and then consecutively in 1996-1997. 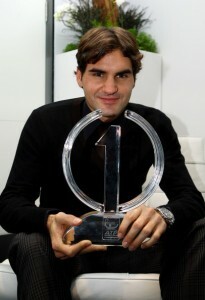 Roger Federer is the only player to have won the tournament consecutively three times from 2004-2006. The question looming on the horizon remains–who will win the title in 2011? Perhaps one of the seasoned veterans will reclaim his spot at the top or will one of the new up-and-coming players demand the trophy on the final Sunday? Romance is in the air at this time of year with Valentine’s Day falling in February, therefore it is probably worth a look of some famous sporting couples who have been successful in the love stakes and perhaps it would be a bit more fun to look at those who haven’t been as lucky as we look to answer the question whether sports stars should look to avoid mixing business with pleasure? Former Tennis player, Chris Evert, is one sporting legend who features prominently in the failed stakes, after several failed relationships with sportsmen including Greg Norman, John Lloyd and Jimmy Connors. 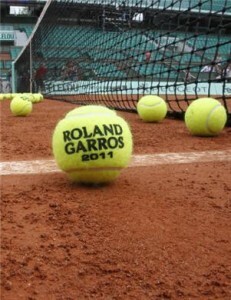 Steffi Graf & Andre Agassi – This was a match made on the heavenly Courts at Roland Garros in Paris (where else? ), which brought together arguably the greatest female tennis player of all time and one of the very best males. They were married two years or so later; they remain happily ensconsed with two children and live in Las Vegas. Steffi won a total of 22 Grand Slam titles including a Calendar year Grand Slam of all four titles in 1988, while Andre won a total of 8 ‘Slams’ including Wimbledon in 1992, the same year his wife to be won the women’s title. Agassi won a career Slam, making him one of only seven players to do so in history. Zara Phillip & Mike Tindall – The oldest granddaughter of HM The Queen and former world eventing champion is said to be really happy following her engagement to the current England rugby captain, Mike Tindall, the hard tacking, broken nosed tough guy centre. No wedding plans have been announced at this stage but the couple do live together in Gloucestershire. Kenny & Gabbi Logan – The former Scottish rugby union winger is said to have chatted Gabbi up in a pub in London, but obviously his chat up lines worked as he later married the daughter of former Welsh International, Terry Yorath who is currently a leading BBC Sports presenter. The couple have been married for ten years and have twins. Paula Radcliffe & Gary Lough – Marathon Queen Paula married her coach and former 1500 meter champion Gary Lough in 2000 and the couple have two children. They have been working extremely hard together to get Paula fit for a tilt at the Marathon in the 2012 London Olympics. Kim Clijsters & Lleyton Hewitt – Once described as ‘Kylie and Jason with balls’ this engagement was doomed to failure from the start, with both players still far to committed to winning tennis tournaments rather than winning each other over. They lasted 12 months! 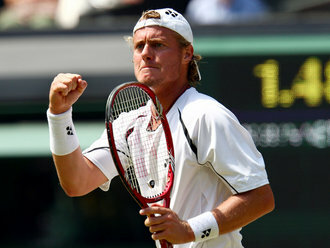 After a strong showing at the 2009 Wimbledon, Lleyton Hewitt will look to repeat his success in 2010. A good player, or even a great player, can’t avoid facing the game’s best players in the early rounds if he doesn’t improve his ranking. But how can he improve his ranking if he keeps running into the game’s best players in the early rounds? I call it the Hewitt dilemma. For Lleyton Hewitt, a winner of both Wimbledon and US Open titles, and the guy who spent all of 2002 at No. 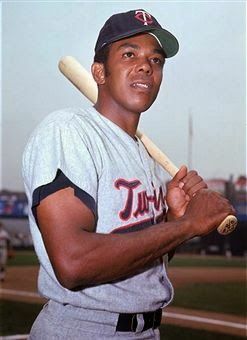 1, the recent majors have been an exercise in frustration. Since 2006 he’s not only been through hip surgery, causing him to miss the 2008 US Open, but he has also faced Rafael Nadal four times at Roland Garros, none of which took place after the round of 16. Since 2008, he’s also faced Roger Federer at the 2008 Wimbledon, the 2009 US Open, and the 2010 Australian Open. He lost no sets in lead-up to those matches with Federer, but the only set he won against The Great Swiss came in last year’s USO. He surprised more than a few when he took a set from Rafael Nadal in the 2006 RG, but won none from the Spaniard in their subsequent Parisian meetings.